I haven’t blogged since 9/11. It’s been a rough time since then. In addition to the regular stuff, like family, house, pets, day job, etc., I’ve also had a death in the family. I lost my aunt Sandra. She was an amazing soul full of kindness and love. So, in addition to traveling for that, it’s just absolutely been chaotic. The good news is, is that I seem to be coming down from this most recent hilltop of non-writing obligations and distractions and hope to spend a great deal of time on the follow-up to Souls of Astraeus. 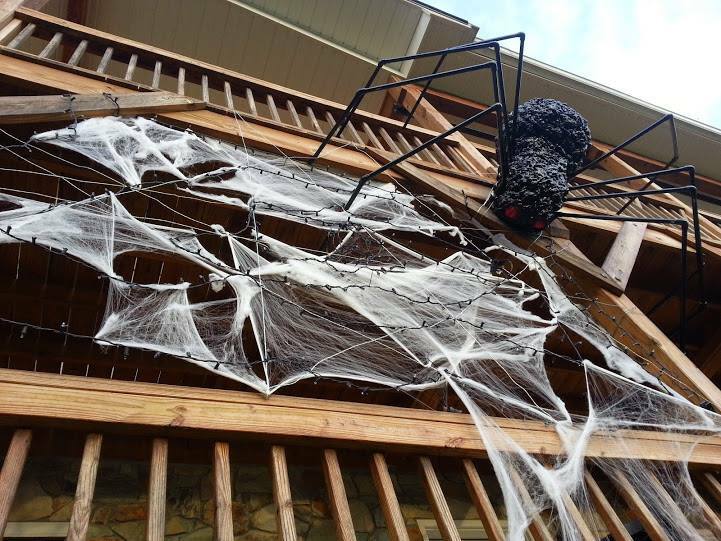 I should be blogging before Halloween, but I wanted to share the BIG spider my wife and I made and hung on our house! Ha ha!